HI NAME'S TOPCATDIGAINIMEFAN It's Nice To Be Here Apologies For Using All CapsLock In Some Of My Post's When I Was A Kid I Had Trouble Reading Small Words I'm Learning JAPANESE And I Love HOUSEPETS I Hope To Do My Best And Fallow The Rules Of This Forum And To Be Friends"
Last edited by TOPCATDIGIANIMEFAN on Wed Jul 11, 2018 5:20 pm, edited 2 times in total. +Obbl l'll Do My Best And と歓迎していただきあがとうございま. And The Advice. " Hello and welcome here, TOPCATDIGIANIMEFAN. 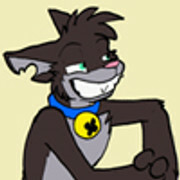 Welcome to the forums, TOPCAT! Have a great time here. +SATURN381 Thanks For The WELECOME"
H'lo, Nanimalz. Welcome and enjoy! Hi, Gatsumann. Welcome to the party ...... Enjoy! Location: Joey, have you ever been in a Turkish prison? Guess I'm kinda late with this, but whatever. Hi, I'm new here. Anyway... Welcome to the forums, WhoBrokeMy4thWall. From your registration date, it's not so much late. Welcome here, WhoBrokeMy4thWall! Hello, everyone. Many of you might know me as "Mickey", someone who joined here nearly 4 years ago and then disappeared after two years, showing up sporadically after that. Well, I'm back for good this time! I disappeared for a while due to school and home problems, but everything has evened out. I did, however, have to abandon my old account after collecting what I need from it. Someone has been stalking me online, so I've made had to make multiple name changes on multiple sites and run from a lot of things. This is being handled however, so don't worry too much. I'm just glad to be back. P.S. I go by he/him pronouns now. A mouse by any other name is a prince in himself. The question isn't why he wears the crown, but rather why wouldn't he? No one dare remove it from his little head, anyway. He's royalty after all. Mickey? As in the RPer Mickey with all the characters? Do let us know if any of the stalkers follow you here and we'll do what we can to look after you. H`lo, Mickey. Yer safe here. Enjoy (again). Hello and welcome back, Mickey! Welcome back! I was wondering what had happened. And yeah, if you believe that this individual is following you around here, let us know. Hello, I am Matthew but I prefer Dramix the wolf (My furry name). I play video games, and I only like a few things in life. Playing guitar, Anything that relates to furries, and video games. If you ever want to talk I will be happy to reply. Welcome, Dramix! I do hope you have fun here! Feel free to poke any of our friendly staff at any time if you have any questions or concerns about anything or even if you just want to chat! Hi Dramix. Welcome to the forums. Welcome to the forums, dramix! Hello Dramix, welcome to the forums! Hello and welcome here, Dramix the wolf! Hello! I'm a friendly blue fox that loves reading, writing, drawing, playing games, and Housepets!